Seems impossible, right? Apparently not. A study by Google, the CEB, and Morista reported out of hundreds of B2C brands researched, most have emotional connections with 10%-40% of consumers. Meanwhile, B2B brands elicit an emotional connection with more than 50% of their buyers. This means we can crush the misconception that clients need “corporate” content and provide practical information to help businesses make decisions they can feel really good about. 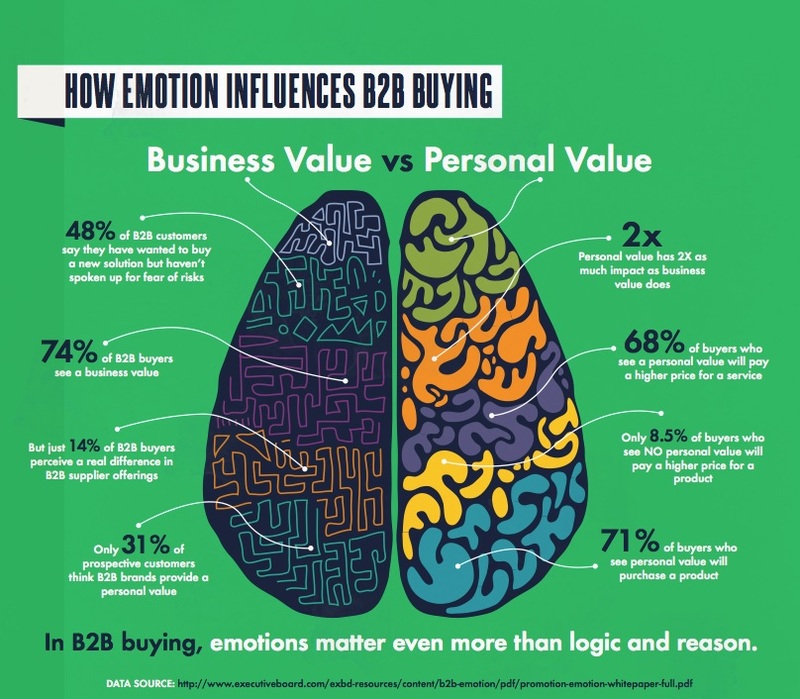 Take a look to see how emotion impacts the purchase decisions of B2B buyers.